We want our kids to see the immediate result of helping somebody and to see how good that feels so it’s ingrained in their brains and their lives. To celebrate Purim, Samantha and Jeremy Garelick take their four children on a mitzvah spree, distributing sandwiches, granola bars, and water bottles to people experiencing homelessness. “It’s one way we try to instill in them a sense of tzedakah — the obligation to help everyone around you,” says Samantha. 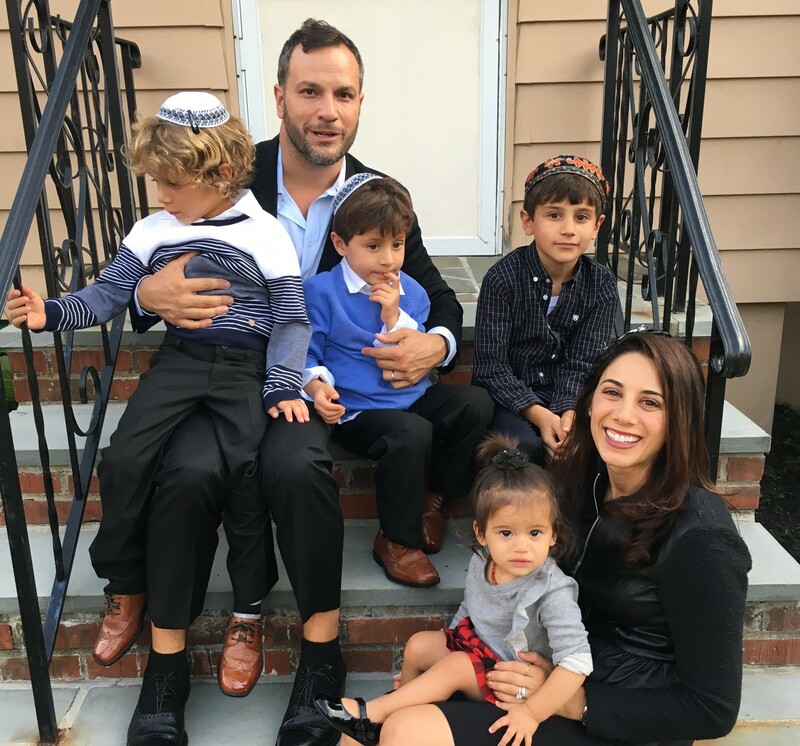 It’s a value Samantha and her husband both learned in their early years in Rockland County, New York, where Jeremy’s family attended the synagogue where Samantha’s father served as chazzan (cantor). “My earliest memories are of my mom’s holding meetings about walk-a-thons for United Jewish Appeal,” says Jeremy, whose father served on boards of various Jewish organizations. His parents also generously supported a Jerusalem orphanage, and Jeremy and his siblings became close to many of its residents. Samantha’s grandparents set a model of giving to Jewish causes that her parents, aunts, uncles, and cousins continue. “It’s just what we do — tzedakah is part of our DNA,” she says. The couple has long been committed to raising a family with those same values, though Samantha says that her generation has its own approaches to Judaism and tzedakah. For example, the Garelicks join friends for a monthly “tzedakah-box lunch” to learn about various charitable causes and then pitch in donations. Their own favorite causes include their synagogue, Beth Jacob Congregation, and their children’s school, Pressman Academy. They’re also very committed to Israel and advocate on its behalf. Samantha serves on AIPAC’s National Council and its LA board. She also teaches art at Shalhevet High School. Jeremy is an accomplished comedy screenwriter, director, and producer, whose portfolio includes The Break Up and The Wedding Ringer. The couple established a Donor Advised Fund with the Foundation in 2016, which they say has helped them better organize their charitable giving. “What The Foundation offers is really helpful when you’re young and busy,” says Samantha. “It has provided a good starting off point from which we can grow.” It’s all part of the effort to instill in their children the same generous instincts that were modeled for them.